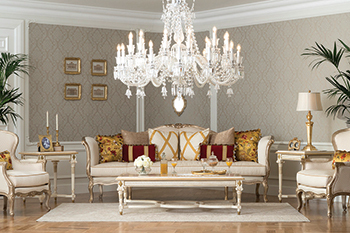 Sofas from 2XL Furniture & Home Décor adds style to living rooms. A stunning new range of sofa sets has been launched by the UAE-based 2XL Furniture & Home Décor to make living rooms both stylish and functional. These are not only luxurious, sleek and sophisticated but also very comfortable and easy to maintain, according to the retailer of luxury home furnishings. Amit Yadav, head of marketing at 2XL, says: “Whether your personal style leans towards the traditional, contemporary or a blend of the two, we at 2XL Furniture & Home Decor have the perfect piece for you. When it comes to living room designs, beige is the new black, he adds. Varying shades of cream and ivory with strategic pops of gold and perfect maroon tones on the pillows create a spectacular setting. The palette can be enriched with striking accessories that enhance the overall look. Homeowners can also opt for the sophistication of silver and grey and a hint of black when aiming to create an impact on their living rooms. “An ivory couch with matching arm chairs looks stunning against a backdrop of patterned accent wall in a darker shade with matching cushions,” Yadav says. Honeywell’s MK Dimensions switches ... screwless wiring. 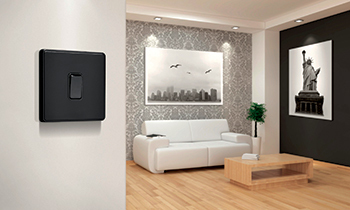 Honeywell has extended its MK Dimensions decorative range of screwless wiring devices with a new Matte Black finish. Designed to accompany the range’s black functional module, this new addition in switches complements the entire range, offering interior designers options to keep up with the trends. The Matte Black is the ninth MK Dimensions finish, joining already stylish finishes such as light and dark silver or champagne and bronze. The MK Dimensions range has been inspired by Nordic design trends where the aesthetics are marked by minimalism but efficient functionality. This collection bodes well with interior designers in the region now shifting towards more modern designs. Moreover, the increase in demand for coloured switches and sockets makes the new Matte Black finish the perfect alternative for any contemporary or minimalist style decor that suits new trends, says a company official. “With the interior design market evolving rapidly in the Middle East, MK Dimensions Matte Black switches cater to the latest trends of creative lifestyle spaces,” says Yashdeep Sule, marketing director of Honeywell, Electrical Products, Europe, Middle East and Africa. “Residents in the Middle East are opting for modern design and our latest addition to the MK Dimension range adds further options for interior designers, architects and consultants who are looking for sleek designs to accommodate the current market. Matte Black adds a classic and clean design to interiors which is unlikely to go out of style,” he says. Hidraulic by Gan ... elegant rug characteristic of 20th century buildings. A team of designers from the Spanish brand Gan has come up with Hidraulic, an elegant rug that recreates the hydraulic flooring characteristic of early 20th century buildings. “If in their day hydraulic floor tiles were conceived to recreate vegetable and floral motifs, nowadays the Hidraulic goes back to its origins, featuring delicate geometric patterns,” says a spokesman for Gan. Hidraulic stands out on any floor where it is laid, especially on uniform surfaces with neutral colour schemes. Its detailed design is possible thanks to the laborious hand-knotted technique. The making of the knots, in different colours, together with the repetition of the motifs creates a mosaic effect, very nuanced and relaxing at the same time, he adds. Hidraulic combines mainly Aegean blue tones with touches of black, ochre and maroon, just like the old cement floor tiles. Gan was founded in late 2008 in order to give an identity to Gandiablasco’s line of textiles. Maintaining the quality standards of its origins, the company has managed to become an internationally recognised brand with a presence in the world’s major cities.